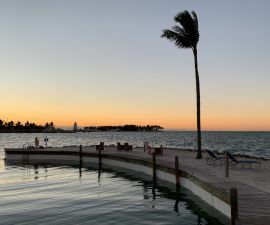 Click to view our Florida Keys web cam at Tranquility Bay Resort! Spread out in the chic comfort of our beach houses. Take in stunning ocean views while delighting in unlimited beach access. 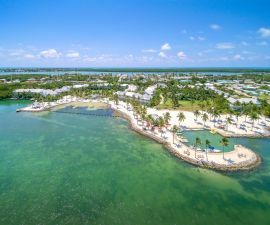 Stay longer and save at Tranquility Bay! Call 877-741-7839. Save more on beachfront beach houses, select dates! Sign up for email news and receive special offers. Enjoy a $50/night dining credit, select dates and room types. Sink into serenity at Tranquility Bay, one of Marathon's best-rated resorts. Spend your days relaxing on the powder-soft sands of our private beach, or poolside at one of our three sparkling swimming pools. Satisfy your sense of adventure with world-class diving, snorkeling, and water sports. Then retreat to your own beach house or Tropical Garden Guestroom. 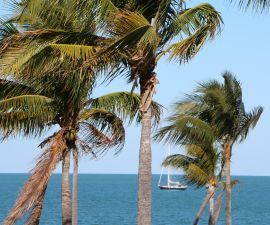 Just 90 miles south of Miami and 45 miles north of Key West, paradise is closer than you think. 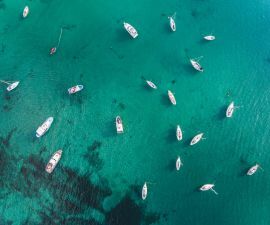 Are you ready to embark on a journey of relaxation in the Florida Keys? Spring into Florida family fun this spring break. Pamper mom this Mother's Day. Celebrate Father's Day and the start of summer. Find Florida family fu​n during the 4th of July. Enjoy a last-minute summer escape. Celebrate Labor Day and save more off-peak. Fall in love with tranquility this fall. Experience Christmas, Florida Keys style. Start the new year on the beachfront. Rekindle romance with a long winter weekend. Discover paradise on Easter or spring break. A place to unwind. Relax in the most spacious of our Tropical Garden Guestrooms, which house two queen beds and en-suite bathrooms, plus a private patio or porch. Just steps from the pool and our white sand beach, our luxury single-level guestrooms are perfect for couples in search of a quiet retreat. Relax in two cozy queen beds. Maximum comfort, supreme serenity. Rest in a king-sized bed, with easy access to our award-winning onsite dining, our private beach, and all the resort's best amenities. Make the beach your front yard. The 3-bed beach house sits on our private white sands, taking you from bed to beach in seconds. Three beds, two and a half baths. Overlooking our turquoise waters, relax in our secluded beach houses adjacent to the Dolphin Lagoon. Perfectly spacious for families, with three beds and two and a half baths. Enjoy sea glimpses from the comfort of the master bedroom or porch. Great for families, there are two additional bedrooms - one queen and one twin - plus two and a half baths. Enjoy spectacular beachfront views of the Gulf of Mexico. With a king-size master bedroom and a second twin room, it's perfect for beach-loving small families in search of paradise. See beyond the palm trees in your front yard and bask in the sea views from your private balcony or porch. This two-bed beach house is great for small families. We offer four spacious beach houses with accessible amenities, in addition to an accessible Tropical Garden King Guestroom.